TIF TALKS BOOKS: Monday Maunder: Armchair BEA Style! Monday Maunder: Armchair BEA Style! Typically on Mondays, I have my weekly Monday Maunder where I talk about my reading, my writing, and my life. However, today I am changing things up in honor of Armchair BEA! In past years, we have done traditional interviews with another assigned blogger. This year to encourage more networking and meet-and-greets, we are having introductions instead limited to five questions, so you can spend more time visiting and commenting on other blogs. To not waste time and get straight to the point, let me introduce you to myself! 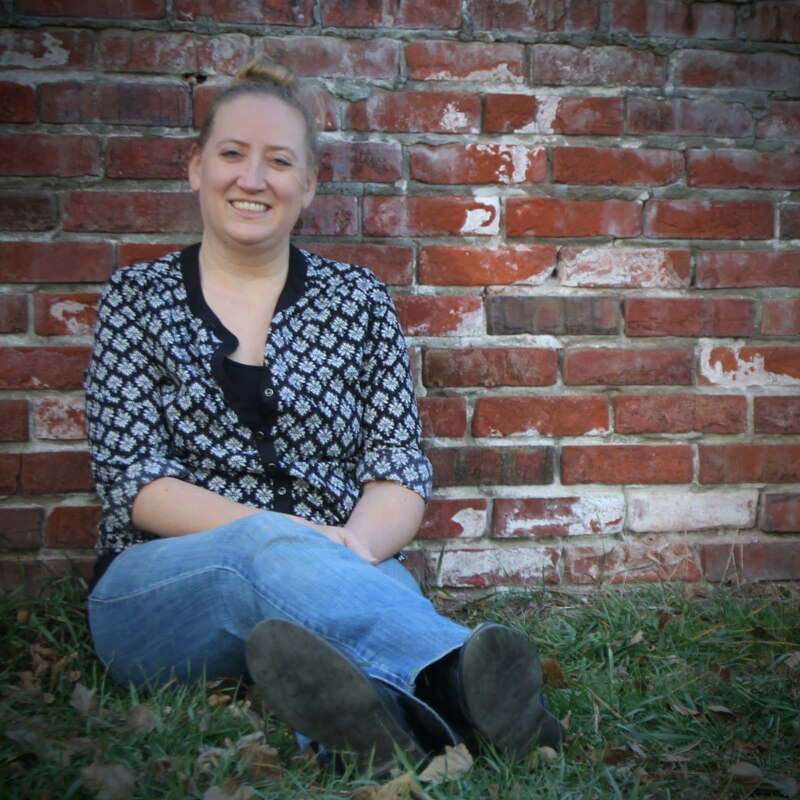 My name is Tif, the mind and writer behind Tif Talks Books (pretty self explanatory, I think!). I am a daughter, mother, wife, academic advisor, advocate, writer, and lover of all things literary. I have been blogging here for five years and I only hope to continue for another great five (or more). I initially began blogging before I knew that there were other book bloggers out there. Many of my friends at the time were blogging about their families. I didn't feel comfortable about sharing my family details, but books I could talk about ... a lot! The rest is history!! What is your favorite feature on your blog (i.e., author interviews, memes, something specific to your blog)? My absolute favorite is Literary Locals. 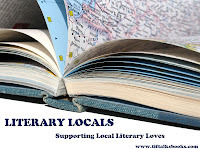 Literary Locals is a random feature where I highlight my love of local literature, including reviews of local author's books, coverage of author events and adventures in my area, and so much more! My love of local literature, both past and present, began as a spark thanks to my grandfather and has grown to a wildfire since! I cannot help but mention a second feature that falls as a close second ... 2012 Fairy Tale Challenge. I am hosting the 2nd annual Fairy Tale Challenge that originally began almost three years ago as a weekly feature, Fairy Tale Fridays. I only committed to the weekly feature for one year, but moved to an annual challenge to help in spreading the love of all things happily ever after (or not)! What is your favorite part about the book blogging community? Is there anything that you would like to see change in the coming years? My favorite part of the book blogging community is the community! I have absolutely loved finding fellow book lovers scattered across the world where I can commiserate about my latest and favorite reads. Along the way, I have also had the opportunity to develop wonderful friendships along with create and work on such great projects as Armchair BEA!! The one thing that I would like to see change in the coming years is really more of an evolution. In the past five years of blogging, I have seen an increase in collaboration among bloggers, authors, publishers, etc. I would love to see this collaboration grow, particularly in this ever changing world of books! YES! I have always considered myself an eclectic reader, but since I began blogging, I have had my eyes opened to so many additional avenues that I often wonder how I have lived without! I think the two biggest examples that fall in here are young adult novels and graphic novels for all ages! Right here and still active! I anticipate a multitude of changes, but I think the most important thing would be that I am still writing. Heck, if I am going to be really dreaming, maybe I could even say that I would be talking about the release of my own books as well!! That's it! 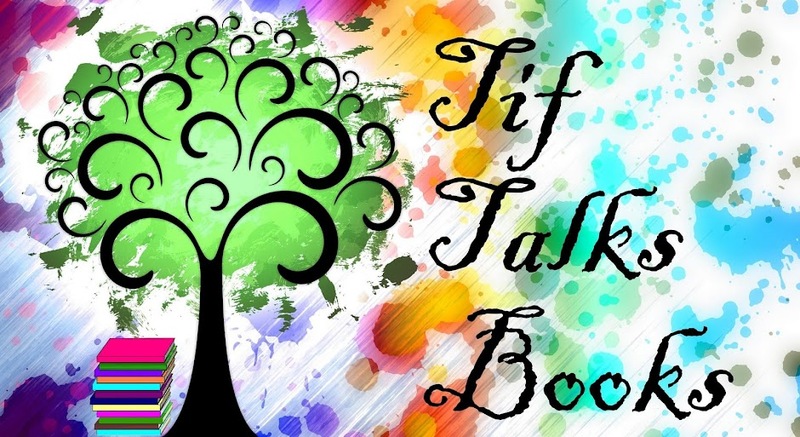 Welcome to Tif Talks Books and Armchair BEA! If you have introduced yourself on your site, be sure to post a link below and I will be sure to stop by to meet you! Love the Literary Locals idea. Good to meet you and discover another great book blog. Enjoy ArmchairBEA? Tami ... Thank you so much for stopping by! I hope you enjoyed Armchair BEA as much as I did!! Literary Locals is a great feature. I, too, have met so many great people through book blogging--it really is a wonderful community. Heather ... Thank you! I love this community!! 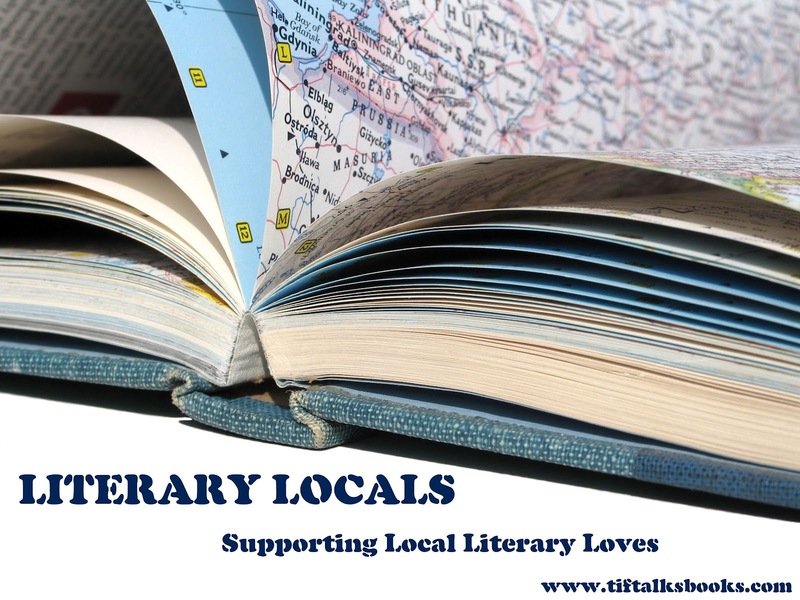 I love the idea behind Literary Locals! How fun!!! I think blogging definitely opens up everyone to more books. At least those who allow themselves to be. Amanda @ Letters Inside Out ... Thank you for stopping by! I did have a great week!! And, I agree that blogging can open up so much to those who allow it! Ah-the Fairy Tale Challenge sounds so fun! It's a shame I'm so awful at keeping up with reading challenges. I also love that you support local literature--well done! I really love the idea of highlighting local literature too!! I live in SC now and there are tons of writers in this area and lots written about this area too! Especially Charleston SC. I have to admit that I love reading them! Blogging opened me up to YA books as well. I just really had no idea there was that much out there before now. I really try to read a bit of everything too though. Keeps me from getting into reading ruts so easily I think! Shannon@BooksDevoured ... I think with local literature, you sometimes get an extra added connection! LOVE them!! And, I completely agree about the reading ruts. I think that is why my reading varies so much too! Add me to the list of lovers of Literary Locals. What a wonderful idea. bibliosue ... I love that everyone is loving that idea!! It's something that is so close to my heart! loreleimarsh ... Thanks for stopping by and showing some Armchair BEA love!! Hope you had a great week! PS - Come check out my introduction? Thanks! Mickey @ imabookshark ... I am extremely late, but I am heading over to check out your introduction tonight!! Literary Locals is such a fantastic idea!!! I'm always excited to find books that are set even remotely close to the area I live in, but I never really thought to seek out local authors more. Tanya Patrice ... I definitely recommend seeking out some of your local authors! I have found so many treasures in my area!!! I hope we're all talking about your latest release in glowing terms! I do love highlighting local(ish) authors as well. I hope I can carve out some more time somewhere to devote to it. I was doing pretty well this winter, but warm weather sees me out and about more. Introverted Jen ... LOL!! I hope so too!! :) Summer months are definitely more difficult for me as well. When the sun comes out, I want to soak up some of that Vitamin D that I don't really get the rest of the year! Ditto on the Literary Locals, but I also enjoy Monday Maunder! It's become my favorite post. 365andMe ... Wow! Thank you!! I really didn't even think to consider that one, but I always enjoy writing that one!! Nice to meet you Tif! I agree with the community aspect. I love meeting people from all over the world. It widens our view of the world and how many points of view there are. have a great week! YA books and graphic novels seem be growing a bigger fan base all the time. I think I need to read more graphic novels actually... any good ones I should check out? Chrystal ... Thanks for stopping by! As for graphic novel recommendations?!? If you want to start light, I actually love Rapunzel's Revenge and Calamity Jack by Shannon and Dean Hale or Bad Island by Doug TenNapel. If you want something for strictly adult eyes, then I would recommend the Fable series by Bill Willingham or Locke & Key by Joe Hill. I could recommend more, but I will stick with those ones for now! Happy Reading (and feel free to share what you think if and when you read them)! Chrystal ... Wonderful choice! I look forward to hearing what you think when you finish it! !